On deciding that you are interested in buying and/or listing a property in Barbados the first step would be to choose a recognized real estate agent, who you will be comfortable dealing with. The website (www.beavainc.com) of BEAVA (Barbados Estate Agents & Valuers Association) lists the recognized agents who have met the qualifications to be a member of BEAVA and these agents are bound by the duties imposed by its Code of Ethics. It is the duty of the real estate agent or valuer that he/she is well informed of current market listings and conditions in order to advise his/her client on the best properties to view that would meet their criteria or the fair market price to list their property. 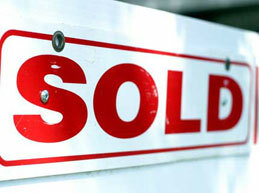 Typically the fee associated with the sale of a property is 5% of the agreed selling price of the property. This fee may vary slightly from agent to agent but this is the generally accepted fee charged by members of BEAVA Inc. The fee charged for renting a property is generally one month's rent on a long term rental. It should be noted that the above fees are subject to 17.5% VAT. The fee charged on a short term rental (holiday rental) is generally 15% and is subject to 7.5% VAT. It is advisable, once you have chosen a real estate agent, that you decide on what type of agreement you are willing to enter into with that agent. Sole Listing Agreement: This agreement is used in cases where only one agent is authorized to offer the property for sale, but the owner may sell directly to a purchaser with no obligation to pay commission to the sole agent. Exclusive Listing Agreement: This agreement is used in cases where the real estate agent is authorized to sell the property and the vendor must pay the agreed commission to the said agent regardless of whether he sells the property or indeed even gives it away. In both of the above cases the Sole or Exclusive agent can sub-list the property with the other agents on the island and is encouraged to do so by BEAVA in order to give the property the widest possible coverage. Non-exclusive Listing Agreement: This agreement is used in cases where the owner appoints more that one listing agent himself. However, all of the listing agents must have the same information and listed price.